Asara provides for tracking any services you might provide through a fully customizable Multi-Service Tracking Module. 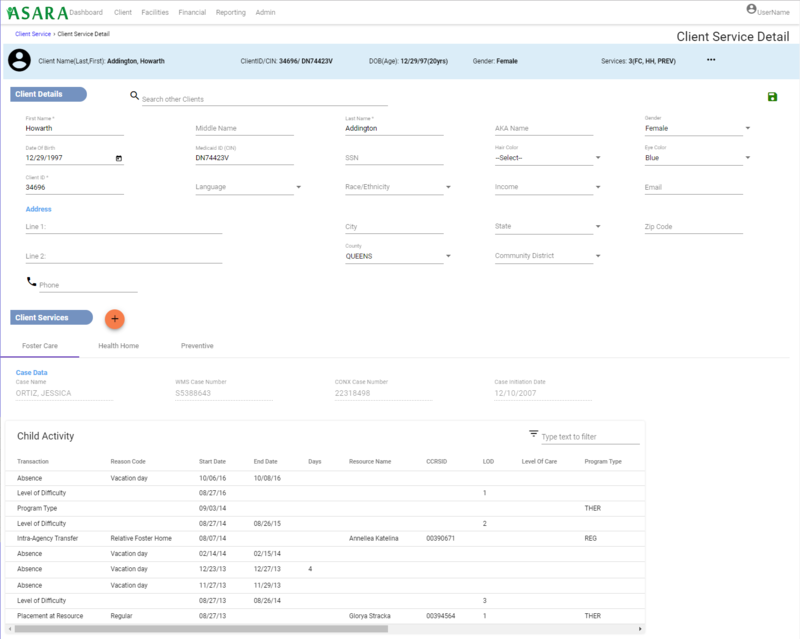 Imagine all clients and all services recorded, maintained and reported through a single portal into the database. 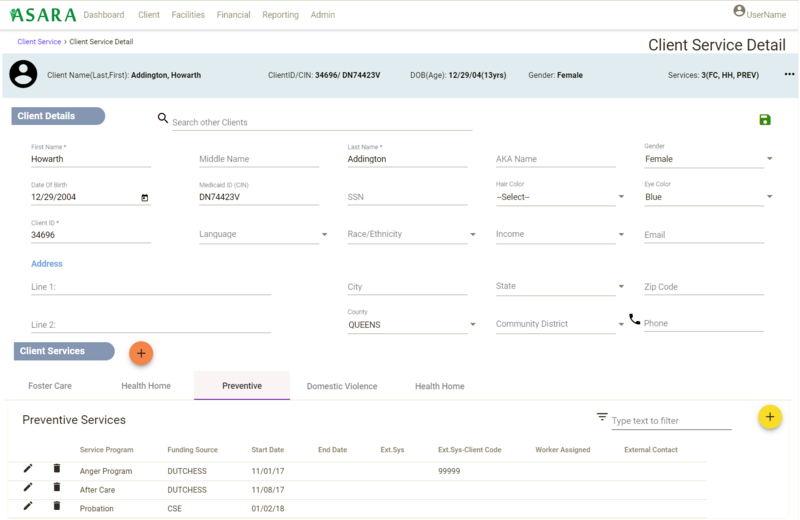 Clients, cases, demographics, service types and services are all stored in a single system to allow for tracking, reporting, analytics, key performance indicators and data warehousing. Discover How to Seamlessly Generate Reports! Schedule a demo to see it in action.